Marketing is all around us and with thousands of messages and brands competing for a share of our attention on a daily basis only the best are likely to have an impact. But how do marketers develop these ideas, in what way do consumers behave and respond to these messages? This course explores a range of marketing principles and contemporary issues to get to the heart of what marketing is, how it works, how to build successful strategies and deploy effective campaigns. As far as I know, the University of Chichester is the only one that has such a sense of community. Everyone knows everyone, everyone is friends with everyone. I’ve never felt like I’ve had this many close friends before and I get to see them everyday. I’m ridiculously lucky and I believe it’s because I chose to come here. I chose the University of Chichester because of how the classes are set up. I knew if I had to sit in a massive lecture hall with 200+ other students, my learning would have been very limited compared to classes of 20-30 students. 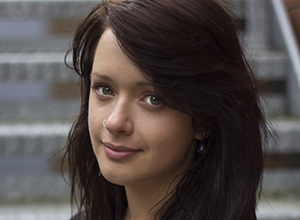 My degree enhanced my employability through group work and adapting to new situations. The BA (Hons) in Marketing is an exciting, CIM accredited degree which is continually reviewed, to reflect emergent themes such as disruptive technologies and to reflect changing graduate needs in areas of design, digital skills and creativity. Starting with an underpinning of the modern marketing mix (MMM) in the first year, with assessment based on real life marketing problems, students continue their studies with modules investigating the psychology of consumer behaviour and the contemporary world of branding, before analysing the components of digital marketing campaigns and specialising in areas of luxury marketing. Opportunities to study Photoshop, InDesign, video editing and Google Analytics are embedded within the module content. Students will also have the option to gain the CIM Certificate in Marketing in their 2nd or final years. This subject can also be combined with other subjects to create a joint degree: Business Studies, Event Management, Human Resource Management, International English Studies, Software Development for Business and Tourism Management. You will undertake your marketing workshops in training rooms that are bang up-to-date with design features, touch screen electronic white boards and high speed wifi; housed across three stunning Georgian mansions. All of our current students love the learning environment, the culture, camaraderie and the fact that tutors know them by name so they are more than just a ‘face in the crowd’. The University of Chichester's Marketing graduates are highly employable, both within agencies and in client side roles. Recent graduates have gained positions in Brand Management, Advertising, Public Relations, Customer Management, International Marketing and Digital Marketing. Students are encouraged to continue their learning with the industry's professional body; The Chartered Institute of Marketing (CIM) and are automatically awarded exemption on an Accreditation of Prior Learning basis for one module on the PG Certificate and Diploma levels of the Professional Marketing qualifications. The course content is delivered through a mixture of small group (typically 25 students, or less) lectures, workshops, tutorials and incorporates online discussions, video, guest speakers and client visits, as well as the more traditional face to face teaching methods. The emphasis in assessments is on live client projects which can be undertaken individually, or collaboratively and are assessed through client presentations, peer group assessment, creative and technology outlets (such as posters, websites, blogs, social media), reports and for those that pursuing professional association qualifications, by examination. 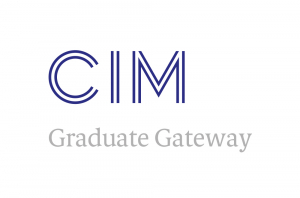 We are an accredited Chartered Institute of Marketing (CIM) Graduate Gateway institution. The Business Forums are a series of events for students and business that enable invited business to present a real life marketing issue to students for them to discuss, review and propose solutions for. 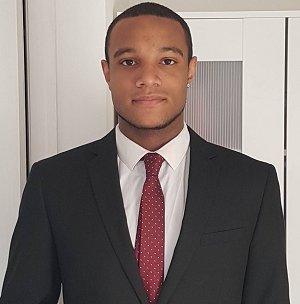 Established and run by Senior Lecturer in Marketing Lionel Bunting, the Forums take place throughout the academic year usually on a Wednesday evening at the end of the working day. These events are a great way to experience working with marketing and business undergraduates at the Business School, and as a result of participating many businesses go on to offer semester long projects after seeing just how much value our students can offer their business. These fast paced sessions follow a 5 x 20 minute block schedule - 20 minute networking, refreshments and welcome, then a 20 minute guest talk, 20 minute interactive activity followed by 2 x 20 minute business consultancy rotations. Students are presented with a business issue or problem that they need to fix and are encouraged to ask probing questions, suggest ideas and discuss possible solutions.